Omar Mateen was a U.S.-born citizen, officials said. Omar Mateen, a 29-year-old U.S.-born citizen, has been identified as the suspect in today’s mass shooting that left at least 50 dead and more than 50 others wounded at the Pulse Orlando, a gay nightclub in Orlando, Florida. In the midst of the attack, Mateen called 911 and pledged his allegiance to ISIS, according to two law enforcement officials. ISIS supporters have cheered the massacre online and an ISIS propaganda group claimed, citing a "source," that the shooter was an ISIS "fighter." But there’s no evidence ISIS directed or had prior knowledge of the attack, terrorism observers told ABC News. ISIS, which is based in Syria, has targeted gay men for beatings and murder in the Middle East and has filmed its members throwing some men suspected of being gay from the roofs of buildings. During Mateen's 911, he also made reference to the 2013 Boston Marathon bombers, Tamerlan and Dzhokhar Tsarnaev, officials said. Mateen was "on the radar" of U.S. security officials for some time but was not the target of a specific investigation, law enforcement officials told ABC News. FBI Special Agent in Charge Ronald Hopper said today that the FBI had taken an interest in Mateen twice: first in 2013 after he made "inflammatory" comments to co-workers and then again the next year after he was linked to another U.S. radical who became a suicide bomber in Syria. Mateen was interviewed by investigators three times in relation to the probes but, in both cases, the FBI determined Mateen was not a threat and closed the investigations, Hopper said. He was not under investigation or surveillance at the time of the shooting, Hopper said. 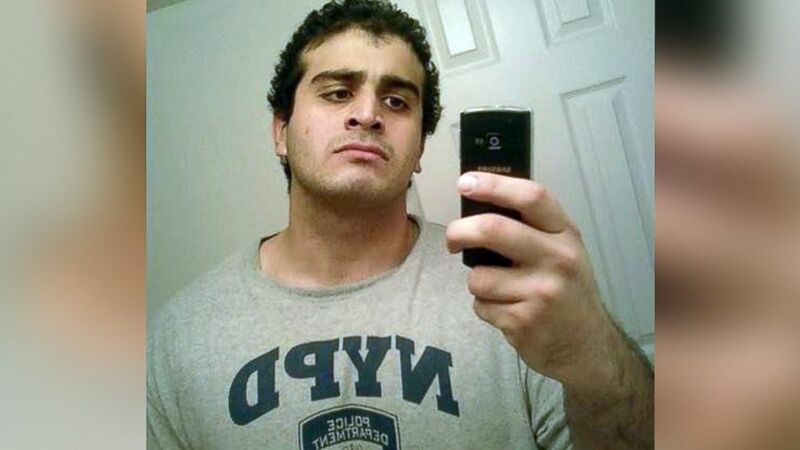 (Myspace) Orlando shooting suspect Omar Mateen is pictured in an undated photo from Myspace. Mateen, whose parents are from Afghanistan, was born in New York but lived in an apartment in Fort Pierce, Florida, more than 100 miles from Orlando, officials said. Officials said today he purchased two weapons, a handgun and "long gun," just in the past few days. Law enforcement sources said the weapons used the attacker were a Glock 17 handgun and an AR-style semi-automatic rifle. Officials said Mateen had two firearms licenses -- a security officer license and a statewide firearms license -– both set to expire in September 2017. Mateen worked for the security firm G4S since 2007, the company said, adding that it is cooperating fully with law enforcement. Public records show Mateen was divorced in 2011 and his ex-wife said today he was violent, mentally unstable and beat her repeatedly when they were married. The woman said she met Mateen online about eight years ago and moved to Florida to marry him, as first reported by The Washington Post. He later remarried and appears to have a young son with his new wife. 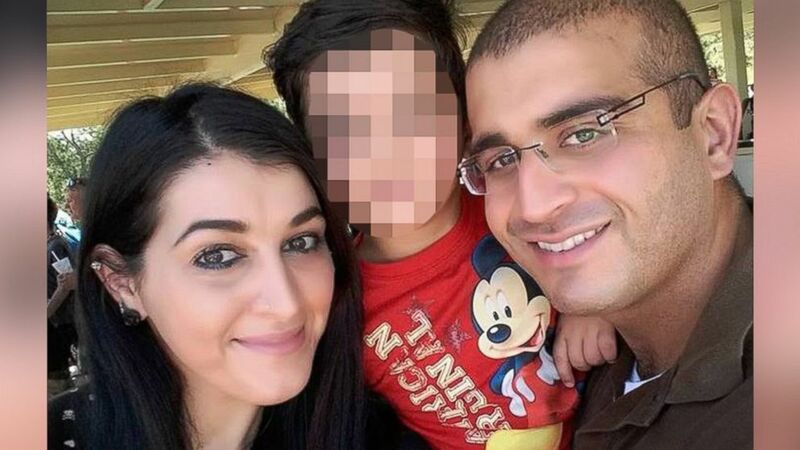 (Facebook) Orlando shooting suspect Omar Mateen is pictured with his wife, Noor Zahi Salman, and their son in an undated Facebook photo.